We strongly believe that in order to provide the best possible solutions to our customers, we not only have to partner with the best in class vendors but to put all of our energy and commitment into being experts in their solutions. This is why we are a SAP Gold Partner and Microsoft Gold Partner. We are a Microsoft Gold Partner. We share a key philosophy with Microsoft in doing what we can to empower every person and organisation to achieve more, this is exactly what we aim to do with our customers and our partnership with Microsoft is key to this. As a Microsoft Gold Partner we are able to make their software a core component of our Cloud services and assist our customer in maximising their investment in Microsoft. We are a SAP Gold Partner. 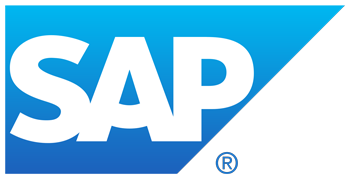 SAP is the market leading provider of ERP with over 300,000 customers worldwide. Our partnership with SAP spans many years. We were their first partner to take SAP Business One to market after its launch in 2003, the first partner to achieve GOLD status and only one of two Master VARs. We strongly believe that SAP offers our customers with the options and capabilities to make them successful. As the market leader in application delivery solutions, we partner with Citrix to enable us to deliver for our customers their chosen IT environment to any user, in any location, using any device. As a Gold Solution Provider, we have a deep understanding across the full Citrix portfolio and provide this as a service from the Codestone Cloud. As the leader in both server and desktop virtualisation we work with VMWare to maximise our cloud infrastructure and offer our clients a highly resilient and optimised virtualised environment. Our expertise in virtualisation and VMWare enables us to advise our clients on migration to the cloud and operating a hybrid-IT environment. HP is a global leader in Information Technology and a major provider of infrastructure for the world’s public and private clouds. 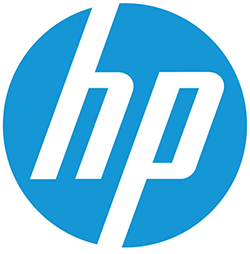 We partner with HP to deliver a solid foundation for the Codestone Cloud in terms of compute and fabric we have extensive experience and expertise in this technology. EMC is a global leader in enabling businesses and service providers to deliver IT services from the cloud. We partner with EMC to provide our cloud based storage capability and associated services that include Cloud Drive, Cloud BackUp and Cloud Recover.